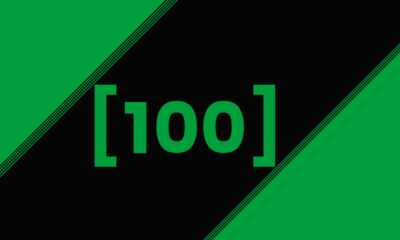 Introduction: You don’t have to be an expert to know that over the years, Brazil have produced numerous talents, and Palmeiras have been responsible for producing and developing many of them. One of the latest talents to add to this list is Gabriel Jesus. Jesus joined the Brazilian club in 2012, at the age of 14, and began to impress as he progressed through the youth teams. His huge potential became clear in his season playing for the U18’s in 2014, where he scored 37 goals in 22 matches. Since then, he has broken into the first team squad and is on his way to becoming their key man. Analysis: Since breaking into the first team, Jesus has been deployed as both a central striker and in both wide positions. In the youth teams, he played as a striker, but he usually plays on the left wing in the first team. However, he rarely stays on the left, roaming inside both with and without the ball, often making runs in behind the opposition defence due to his incredible speed and movement. On the ball, his strengths are his speed and dribbling, and he’s at times unstoppable when running directly at defenders. This has drawn comparisons with a certain Brazilian playing for Barcelona… Another strength of his is his work rate and pressing, particularly in the opposition half. On multiple occasions he has dispossessed defenders in their own box and gone on to score from it. 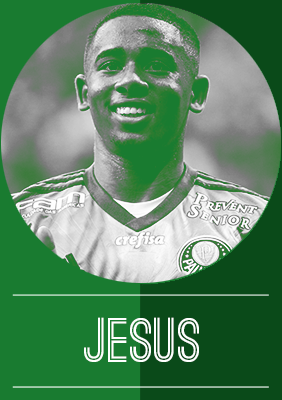 This sets Jesus apart from many Brazilian talents who have not been considered industrious enough for the major European leagues. As for weaknesses, the majority of them are due to his physical build. Standing at only 5’8, Jesus is unsurprisingly weak in the air and sometimes struggles against more physical defences. This is a reason why he has not played as the central striker in the Palmeiras team. Since breaking into the first team, his goal scoring record has been largely disappointing, with only five goals in 17 league games. However, this is largely due to the fact that he has been played on the left of a front three, and given a chance in a central position, his record should largely improve. Looking ahead: Going in 2016, Jesus’ prospects are huge. 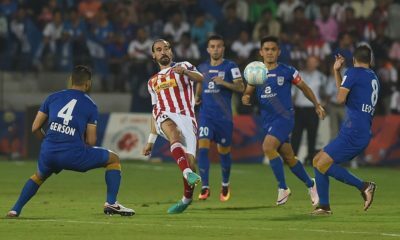 At club level, he’ll be hoping to establish himself as the central striker, improving on his goal scoring record of 2015. Many may say it is too soon for him to break into the national team’s squad, but Dunga is now selecting more and more young talents playing in Brazil, and should Jesus continue to improve and develop, there’s no reason why he couldn’t earn a place in the squad by the end of the year. 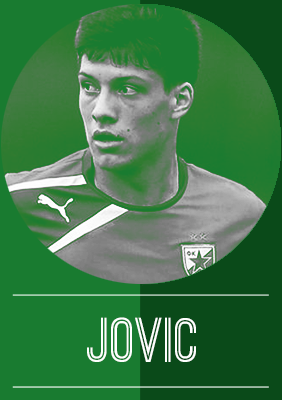 Introduction: Born on 27th December, 1997, Luka Jovic has already chalked up a sizable number of first team appearances for Red Star Belgrade despite his tender age. 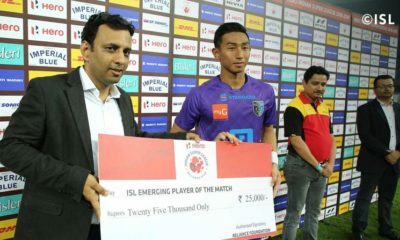 The young striker was given his first team debut at the age of 16 and he wasted little time in breaking the record for the youngest goalscorer in the club’s history. Analysis: The role of the traditional forward has changed with the advent of the false 9 and like most on this list, Jovic is hardly an old school poacher who only comes alive in the penalty area. The 18-year-old is more than comfortable on the ball and is a willing participant in the build up play. This eagerness to participate in play and drop deep is often a two edged sword and the decision making with respect to when to drop deep and when to hold position is something that should be enhanced with time. Another bane of young strikers is that their goalscoring tends to come in spurts and Jovic is no different in this regard. The striker had a prolonged lean patch at the start of last season and has to add consistency to his game, which once again at 18 is not a pressing concern. The striker is said to idolize Radamel Falcao and will be looking to add to his game some of the razor sharp finishing that the Colombian displayed in his prime. Looking ahead: Red Star Belgrade’s financial difficulties are well known and the club will be looking to cash in on Jovic if and when a suitor with an offer deemed suitable comes calling. The youngster will undoubtedly move to one of Europe’s bigger leagues in the near future although another season in Serbia would not be bad for his development at all. Introduction: 2015 has been a real breakout year for the young Nigerian, Kelechi Iheanacho. At the start of the season Kelechi received a huge vote of confidence from manager Manuel Pellegrini, who stated “We have Kelechi Iheanacho, that is a young player who I think must find a place here in our squad” to answer a question regarding potential replacements for the departing Edin Dzeko. Iheanacho initially joined Manchester City in January 2014 following his exploits at the 2013 Under-17 FIFA World Cup, where he won the Golden Ball award for best player at the tournament. Work permit issues prevented the youngster from making an earlier impact at City, but following an impressive spell in the City youth teams, he was included in the first team pre-season preparations this summer. Iheanacho has gone on to make 12 first team appearances scoring against Crystal Palace in both the league and cup as well as making his debut for the senior Nigerian national team. Analysis:In his time in the Manchester City and Nigerian youth teams, Iheanacho has largely played as a second striker or as a wide attacking midfielder. This versatility is an important facet of his game, and will hold him in good stead in his quest for first team football at City. 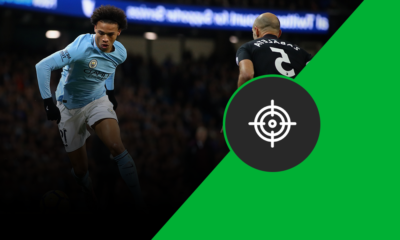 Whilst he is unlikely to displace Aguero in the forward position, his ability to play in any of the three roles behind the striker should see him afforded further game time this season. Following the 0-0 draw against Aston Villa in early November, where Pellegrini decided to replace the injured Wilfried Bony with Jesus Navas leaving City with no recognised striker, Pellegrini stated “He’s not a striker. Normally he plays behind the striker”. Given that Iheanacho plays in a variety of roles, he has great awareness and intelligence on the pitch. For example in the Crystal Palace cup match earlier this season where Iheanacho was the man of the match, he slid in De Bruyne for a simple tap in when others would have had a shot at the crowded near post. When playing as an attacking midfielder for the City youth sides, he shows a willingness to track back, and this combined with an intelligence and positional sense beyond his years, make him an effective team player. Iheanacho’s physicality is deceptive. Despite his slight frame he is very impressive at holding the ball up and keeping possession. He has good strength and a determination, and this is likely to develop further as he matures physically. Perhaps the most impressive aspect of the Kelechi’s game is his first touch and close control. Couple this with his strength, awareness and work rate, and it is easy to understand why Iheanacho is so highly rated. Looking ahead: 2016 looks to be another important year for Kelechi. Perhaps the first target for the year will be to cement his position in the Man City first team squad and continuing with his appearances off the bench. However given Aguero’s recent injury issues and the Bony’s inconsistency, he may receive an opportunity to start more games either up front or just behind the striker. Given City’s progress in both Europe and the domestic cups, Iheanacho will be looking for more opportunities as one of the three behind the striker, and if he impresses here, could be in line for more Premier League opportunities. Internationally the aim will be to solidify his place in the Nigeria squad, and alongside Odion Ighalo, there is the potential for a very exciting partnership for years to come. 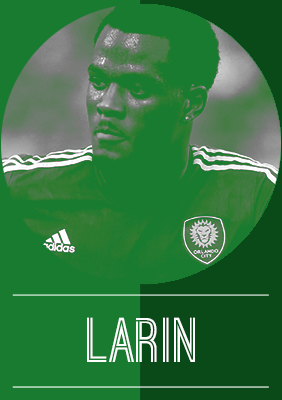 Introduction: After being picked #1 overall in the MLS superdraft, Cyle Larin has quickly become a top prospect. 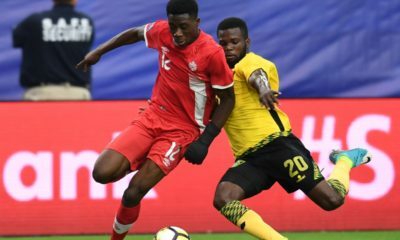 A full Canadian international, his rookie season fully justified Orlando’s selection. He scored 17 goals in 27 games, a rookie record. He easily won Rookie of the Year in the MLS because of his performances. He has been a top Canadian prospect for a long time, and has trained with a lot of European clubs. After the season he had last year, if he keeps scoring the way he has, a European career is certainly in his future. Analysis: Larin’s terrific rookie season was inevitable because of his characteristics. As a youth player, he was described as a “modern striker able to finish from all areas”. Larin was exactly that last season for Orlando. According to whoscored.com, he only averaged 2 shots per game despite his 17 goals. His low shot total displays just how brilliant he was taking his chances in front of goal. When Orlando played well and scored goals, he was always the one finishing off the build up. 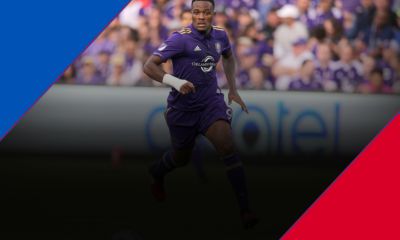 When Larin had 5 goals in 2 games for Orlando last season, the team had 5 goals against their name. When he didn’t score for 3 straight matches, Orlando City as a team scored zero goals. Orlando’s reliance on Larin’s finishing displays just how good he was for them last season. Besides his finishing, Larin is a very big and strong striker with a decent amount of weight on him. He uses his strength to play short passes to his teammates to start the build up. His stature helps him win the ball and hold the ball up. It will be interesting to see if Larin can bully European defenders the way he did in the MLS last season. Due to Larin’s characteristics, older style tactics fit his style best. Either the classic 4-4-2 formation or the 4-1-4-1 fit him best. These would allow his teammates to do most of the buildup for him. 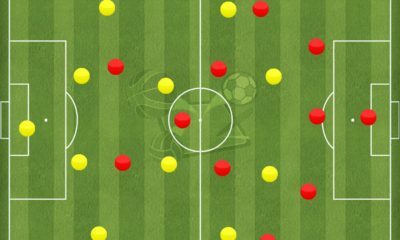 These tactics would allow Larin to get a lot of chances in the air and on the ground. He would get through-balls from the midfield and close range finishes like Jamie Vardy does for Leicester City. When Larin is able to get consistent chances close to goal, he is certainly at his best. Looking ahead: With one great season already behind him, the next step in his career is to become a MLS MVP candidate. Doing this would ensure a European career for Larin, all assuming he wants to play in Europe. If he elects to remain in his home continent of North America, Larin could become a MLS legend. Already an established Canadian international, Larin has the ability to become a Landon Donovan type figure for Canada. Introduction: Malcom is just 18, playing for the cash strapped South American giants Corinthians. Named after Malcolm X, the youngster has spent his entire career at this club, being given a chance to shine for the team by Mano Menezes in 2014. Since then, he hasn’t looked back, and has become the leading striker for his team. 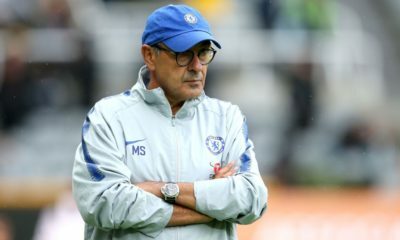 His coach has openly admitted his influence on the team, praising him for single handedly raising the confidence of the rest of colleagues when he’s part of the team. 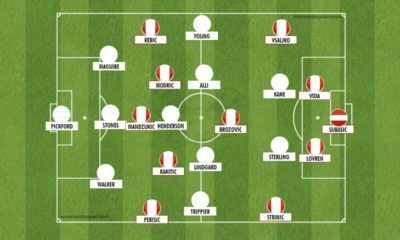 Analysis: Strength, pace, and skill are a heady cocktail in a young player, and one capable of attracting a fair few glances from opposition clubs. Malcom, for his part, has all these attributes in no small part, and uses them very well. Playing behind the main striker, Malcom is quite an influential figure in attack. He has the creativity to set up his teammates and put them through to good shooting positions. At the same time, he also possesses the skills to create for himself. He seems to specialize in feints and changes of direction, which are more subtle than nutmegs, but equally effective. Importantly, he seems completely at ease carrying the ball, and moves well with it. An attribute of his that will probably hold him in good stead in the coming years, if he does move abroad though, is his build. For a teenager, he seems to have quite a stocky build, and this physical ability seems to be an important part of succeeding in the modern game. Looking ahead: Malcom will most certainly make a move to one of Europe’s big boys in the near future, with Corinthians being cash strapped, and looking to make good on his potential. However, his complex ownership situation leaves any potential transfer shrouded in doubt. 70% of his rights are owned by a businessman named Fernando Garcia, and this individual will surely have a huge say in deciding where he does end up. Having said that, Malcom has stated his desire to distance himself from transfer speculation, and focus only on his game. Surely, that attitude needs to be applauded. Introduction: Martial played for his local team, CO Les Ulis from the age of 6 – the same cub that produced Thierry Henry and Patrice Evra. He joined Lyon at the age of 14 and after progressing through the ranks of the academy he moved to Monaco at the age of 17. Following two years at Monaco, Martial made the £36 million move to Man United- becoming the most expensive teenager ever. After only a handful of games, Martial has been tipped for stardom, and the Les Ulis native is regarded as the next “Thierry Henry”. Analysis: The first thing that jumps out about Anthony Martial, is his incredible pace. Originally used as a winger, Martial utilises his pace well to attack fullbacks and drift inside to drive at the middle of the defence. 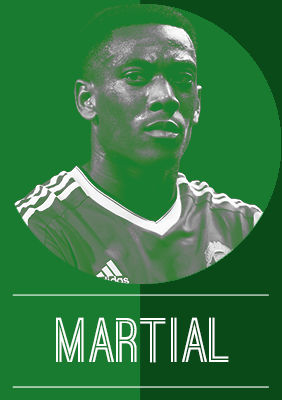 Furthermore, Martial is surprisingly strong and has impressed pundits with his hold up play. Gary Neville even remarked at his strength after his performance against Sunderland, “He pinned him [O’Shea], turned in one movement, held him off and went past him…..he can physically handle himself”. Martial is not just about pace. Even though his first touch can sometimes be lacking, he has the ability to take on players with the ball at his feet. He is more adept at driving at opposition fullbacks from wide areas, rather than dribbling through the middle. When picking the ball up in the middle, he can sometimes be overwhelmed by large numbers of defenders. When playing through the middle, Martial is more comfortable holding the ball up and running behind the defence. He times his runs well and is comfortable linking up with the midfield. Outside of the box he doesn’t have much of a shot. In the 18 yard box, however, Martial is a quality finisher. He is calm and finishes well in the corners. Moreover, when driving towards the box, he is not selfish and will often look for the pass, if it is on. As mentioned his first touch can sometimes be a bit loose, hence why he drifts to the wing to find more space and time. Martial is a natural winger, but has learnt to become a fully-fledged number nine. He has all the skills to become a top class striker, with his pace and finishing being his best attributes. Looking ahead: At only 20 years old, Martial is supremely talented. He is physically suited to match the wear and tear of the Premier League. With a more attack minded coach, Martial could develop into one of the best strikers in the League, if not in Europe. If he can overcome the pressure of playing for a big club with a huge price tag, we could be seeing the next top striker to grace the Premier League. Introduction: Regardless of your opinion on the Red Bull clubs, there is no way for football fans to deny that the Austrian branded clubs have been discovering and bringing to great stages lots of young talents. Often searching within the “not as exploited markets”, Red Bull Salzburg is the ex libris of the Red and white clubs and Minamino is their latest discovered talent. The Japanese winger played 2 years for Cerezo Ozaka, when the team fell into J-2 (Japanese Second Division) the Austrian club took the chance to bring in the youngster. It’s been almost a year since the Japanese came into RB’s headquarters and while the evolution is noticeable, Takumi has been impressing from day one. 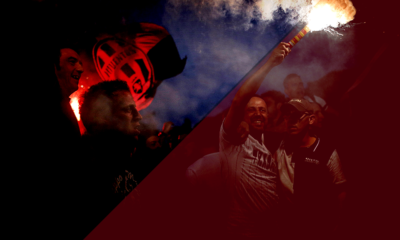 Analysis: For a 20-year-old who came directly from Asian football, the adaptation to European stage is never easy. 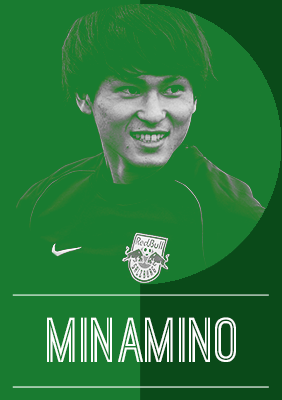 But Minamino still managed to play 16 matches in the second half of the last season. 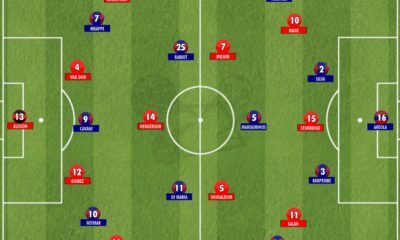 In a league where they clearly outmatch 90% of opponents, Salzburg tends to play with a lion’s share of the possession most of the time, creating loads of scoring chances. For a young creative winger as the Japanese is, this is just lovely. With space to thrive and a low amount of pressure on him, the teenager has become an important part of the now Oscar Garcia side. Often appearing in the box, the youngster can also play as a second striker, as he often did in Japan with Diego Forlan. Specialists in making runs in between defensive lines and taking on defenders, Takumi does need to work on his defensive support to be able to thrive in Europe. Looking ahead: One of the new creative football minds of Japanese football, Minamino is a definite part of the National Team’s revitalization. With one senior cap in a national team that tends to easily clear the Asian trophies; his focus can start to turn to the 2018 WC. Club wise, if he continuous to grow, he can easily jump to another league in a couple of years time. Taking into account the amount of Japanase footballers in Germany and RB’s relations with the Bundesliga, that can very well be his future home. Introduction: When a certain Uruguayan was making a name for himself at Liverpool, another young one was dreaming of similar success early in his career. While a supposed failed trial with the same club prevented that early move to England, Pereiro’s career path was only dented as opposed to halted. Three years later he did get his move, and maybe not as illustrious as the English Premier League, there’s certainly an evident benefit in what the Eredivise has to offer. Analysis: Gaston Pereiro has developed into a player with an all-round attacking game, combining pace, clinical ability and his finishing with his poacher like mentality. While Uruguay isn’t the most difficult place to develop one’s football skill, specifically with the physicality lacking, it’s footballing culture can be transferred to the Dutch domestic game, keeping in line with the fast pace and skillful approach (not to mention the over-committing defenders). His pace and control has tempted managers to play him in wider areas, as opposed to a more centralised approach, which isn’t specifically a draw-back given wide forwards have been a huge success in Europe recently, more noticeably in the Dutch league. 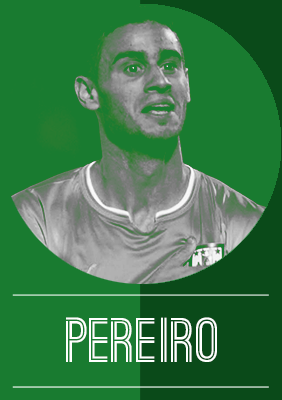 With that ability to trouble opposition out wide but still find his way around in the box proves to be Pereiro’s biggest attraction. 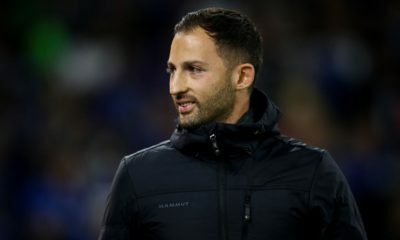 Looking forward: Having come close to that big dream move but failing to grasp it, it’s no doubt the Uruguayan has long-term plans that don’t feature PSV Eindhoven in it. But at the moment, having made this step up only recently and done well to blend in, there are fewer clubs that could offer Pereiro what PSV Eindhoven do. For atleast 2016 as a calendar year, this is no better place for Pereiro than at the Philips Stadion. Introduction: Only 18 years old and already making his second 100 to Watch appearance, we at Outside of the Boot certainly have high expectations for the man tasked with leading Argentina’s attacking hopes in the years to come. 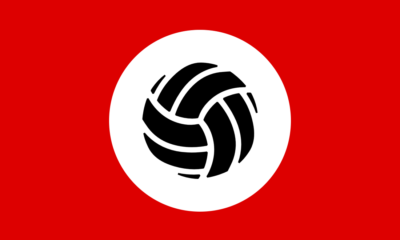 Having established a reputation in the Argentinian domestic game, a move to Europe was beckoning. Roma have stepped in to make the early move, despite not having any imminent plans for the youngster. 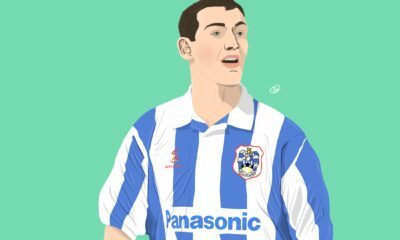 Analysis: It’s always a struggle to find a traditionally clinical striker in the modern game, especially when the sport thrives on the flashy culture it has begun to embrace. 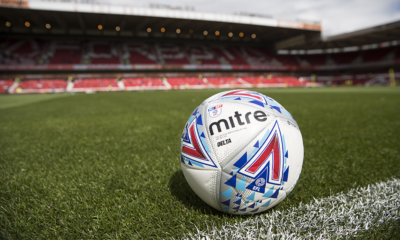 To see a traditionalist come through from the younger generation of footballers, particularly from South America, is a welcoming breath of fresh air. And that’s exactly what Ezequiel Ponce is. 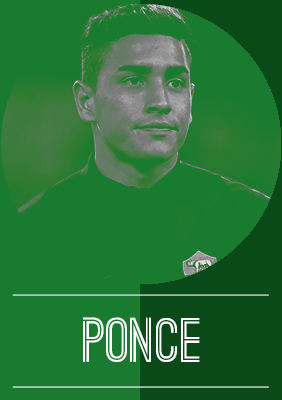 A pure goal-scorer, thriving on the importance of anticipation in and around the box, Ponce is an ideal candidate for the direct approach upfront. Not to be mistaken for a target man striker, Ponce does have a simple dynamism to his game. Though not the paciest of strikers, he is quick with his feet and even more impressive with his burst of pace. This is particularly beneficial when faced up against strikers who choose to mark strikers closely, and rather naively. Ponce is bound to be marked when deployed up front, but importantly he has the ability to shake off these defenders and convert half chances into goals. 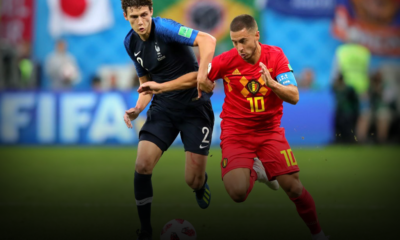 While he did impress with his physicality given his age earlier in his career, it certainly is an aspect that needs to be worked on considering the style of play he is most suited too. This becomes far more crucial when Ponce begins to earn more game time in Europe. Looking forward: Speaking of which, it is undoubtedly frustrating thus far for Ponce in Rome, having been taken from regular first team football in Rosario and resorted to the bench and below in Serie A. But it was never going to be a case of being thrown straight into the first team, having arrived in Italy as a teenager. One might even question if Roma is the best suited option for Ponce, with a loan move certainly a tempting possibility. One can hope 2016 shows us far more of Ezequiel Ponce, as many Argentinian football fans will tell you, it’s worth the wait. Introduction: When you are the first choice striker for La Liga side Sporting Gijon at 19, and you were sold for over 3.5 million pounds as a 18-year-old, you are special. That is exactly the case for Antonio Sanabria. After turning down a contract with Barcelona, Sanabria ended up at Roma following a short spell with Sassuolo. This season, Roma decided to loan out the now 19 year old to Sporting Gijon. Since then, he has been brilliant for Gijon, with 5 goals in only 10 games at the time of writing. Sanabria has been so good that Gijon are currently out of the relegation zone, with Sanabria leading the charge. Analysis: Sanabria’s characteristics make it easy to see why he’s scored a third of Gijon’s goals this season. He is a typical poacher with his ability to finish in front of goal. Most of his goals this season have come in the six yard box. In his hat-trick against Las Palmas, Sanabria scored all 3 goals inside of the six yard box. He scored one close range header, and two impressive close range finishes. His finishing ability was on display against Deportivo as well, with two close range headed goals. Despite his impressive goalscoring record this season, Sanabria only averages 1.5 shots per game (according to whoscored.com). His low shot total is in large part due to Gijon’s low amount of possession during most matches. He has clearly taken his chances well. Since Sanabria has fairly average height and weight, he has great pace and agility for a striker. He uses his pace to make quick runs into the box. He’s always available as a target for crosses into the box as a result. His pace allows him to keep up with his teammates’ quick buildup, while always being available in the penalty area. 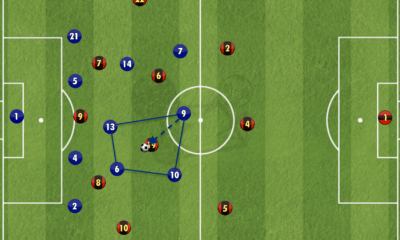 These traits are incredibly valuable for a counter-attacking side like Gijon. He’s been able to get into the position to score the goals he has this season because of his pace and agility. Sanabria’s characteristics make him a fit for most tactical set ups. 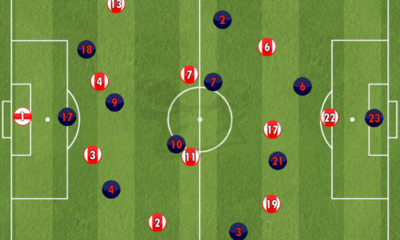 Gijon have already used the 4-4-2 and 4-2-3-1 formations this season. He has excelled in both, with 2 goals in the former and 3 in the latter. As long as Sanabria is playing upfront at striker and not on the wings, he will be effective. If you play him alongside another striker, one that can hold the ball up and head the ball to him would work best. Looking forward: Sanabria will spend the rest of this season on loan with Gijon. Once he returns to Italy, Sanabria will try to find game time at Roma and then become undroppable for them. While he does this, he will try to establish himself internationally as well. 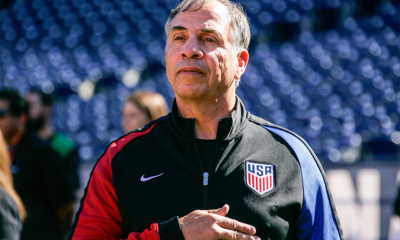 With a handful of caps for Paraguay already under his belt, he will have to become a regular for the national team. With his talent, he’ll become an undroppable player sooner rather than later.